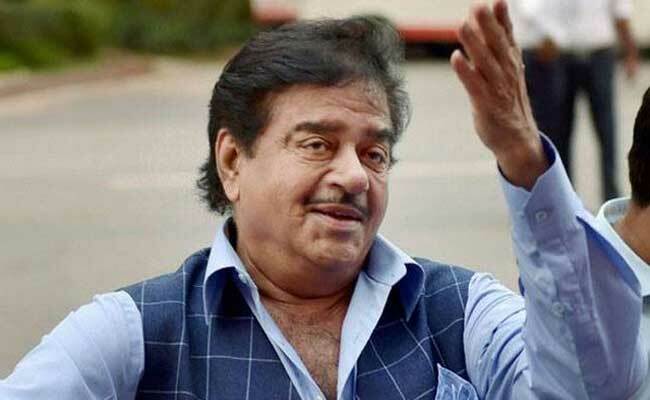 In a series of tweets, Shatrughan Sinha slammed the BJP and quoted Newton's third law. "Remember Newton's third law...every action has an equal and opposite reaction." Hours after the BJP announced that Union Minister Ravi Shankar Prasad will contest from Bihar's Patna Sahib in the national election instead of the sitting lawmaker, Shatrughan Sinha, the latter warned the party on Saturday and said he can "answer back in the same coin". In a series of tweets, the actor-turned-politician slammed the BJP and quoted Newton's third law: "Remember Newton's third law...every action has an equal and opposite reaction." "What you & your people have done with me, is still tolerable. I'm able & capable of answering your people back in the same coin (sic)," the party's in-house critic tweeted. He also accused the party of "orchestrating the departure of a most respected friend, philosopher, guide, father figure & ultimate leader of the party Shri. L.K.Advani, from the political arena". BJP chief Amit Shah will contest from Gujarat's Gandhinagar this time in place of veteran party leader Mr Advani, the party said on Thursday as it announced its first list for the April-May election. Stepping up the attack against the ruling party, Shatrughan Sinha said that Mr Advani's replacement by the party president "whose image or personality is no match nor a patch on him" has not "gone down well with the people of the country". While Shatrughan Sinha has called the move to replace Mr Advani "intentional", Shiv Sena, in its mouthpiece, "Saamna", also criticised its ally's decision and said that Mr Advani "would remain the tallest leader of the BJP". The lawmaker from Bihar, who has been seen in political events with rivals including Arvind Kejriwal in recent months, also accused the BJP of treating other senior party leaders - Yashwant Sinha and Murli Manohar Joshi - in a similar manner. 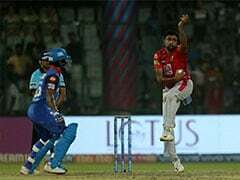 In one of the posts, referring to the party's latest campaign "Main Bhi Chowkidar", Mr Sinha said the BJP should take some "corrective measures" instead of attacking the opposition. "Sir ji, instead of playing Rafale Baba & Chalis Chokiwdar, which has already fallen flat on its face, it's high time & right time to take some corrective measures (if you still can) & go for damage control soon, sooner the better (sic)," Mr Sinha tweeted. "Main Bhi Chowkidar" ( I too am a watchman) campaign was launched by the party after Congress Chief Rahul Gandhi repeatedly used the jibe "Chowkidar Chor hai" (The watchman is a thief) in his election speeches. Prime Minister Narendra Modi, Arun Jaitley, Ravi Shankar Prasad, among other BJP leaders, have been using "Chowkidar" as a prefix on Twitter with their names. But rebel leader Mr Sinha has not changed his Twitter handle. He concluded his Twitter attack on Saturday with a veiled dig at PM Modi and Mr Shah saying that "people will give a befitting reply" for "all this that is being done by the one man show & 2 men army company." Elected to Bihar's Patna Sahib seat in 2014, Mr Sinha had a fallout with the ruling BJP after he was left out of the cabinet. Speculations suggest he may contest in Bihar on a Congress ticket.